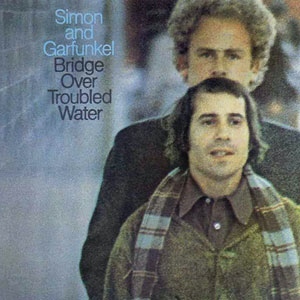 First released in 1970, Bridge Over Troubled Water was the last ever studio album by Simon and Garfunkel and what a swan song it was. It represented a maturation from the duo’s early years of folk to very eclectic-sounding, polished craft–definitely in songs such as the exuberant jugband-feel of “Cecilia” and the ambitious and cinematic “The Boxer.” It is certainly a credit to the studio perfection of Simon, Garfunkel and producer Roy Halee. The album offer poignant tracks like “So Long Frank Lloyd Wright,” “The Only Living Boy in New York” and even a live rendition of “Bye Bye Love.” But they seemed overhhadowed naturally by the majestic title track sung amazingly by Garfunkel–it remains one of pop music’s greatest vocal performances. It’s rare in pop music where an act goes out on its own terms and on top as the duo had done with this record. The DVD portion of this reissue contains Songs of America–a TV program that first aired in 1969 on CBS featuring Simon and Garfunkel onstage and backstage–their music is juxtaposed with powerful images that represent a snapshot of the tumultous Sixties with Robert Kennedy, Martin Luther King, hippie counterculture, Vietnam and marches for civil and labor rights. The idea of a project–which was directed by Charles Grodin–seem tame by comparison now, but back then it was controversial as far as the network sponsor was concerned. The set also contains The Harmony Game, a new documentary on the making of Bridge Over Troubled Water.